Looking for the best dehydrator for nuts and seeds? Then you are in the right place. These days many people started dehydrating nuts and seeds in food dehydrator after they began to know the value of dehydrating it. It's a good way of consuming nuts and seeds. Many of them still not aware of which is the excellent dehydrator for dehydrating nuts and seeds. 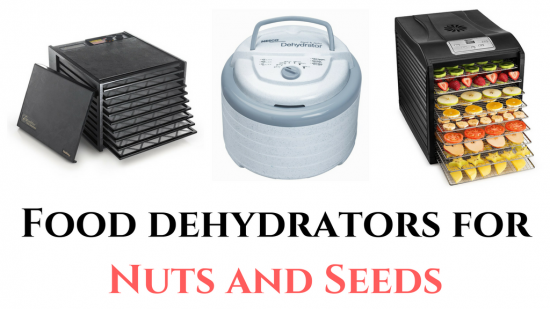 So in this article, I'm going to guide you how to pick the best dehydrator for drying nuts and seeds and things you should need to know before choosing dehydrator. 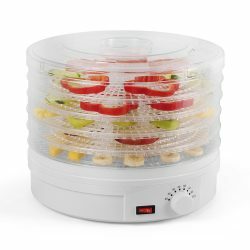 If you are a too busy person, then I recommend you to get a dehydrator with a timer so that you can set the time to turn off dehydrator automatically. 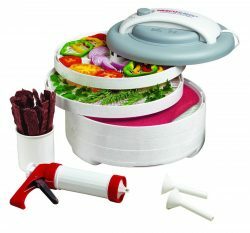 Dehydrator which comes with timer is little costlier compared to without timer. So buy if this feature is only required for you. Some users prefer to go with stainless steel dehydrator for a health related issue. If you are one of them, then you should think before you order. 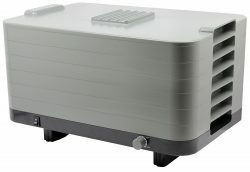 Usually, users prefer to buy stainless steel dehydrator only because plastic dehydrators may contain harmful chemicals, so some users don't prefer to buy plastic dehydrators. 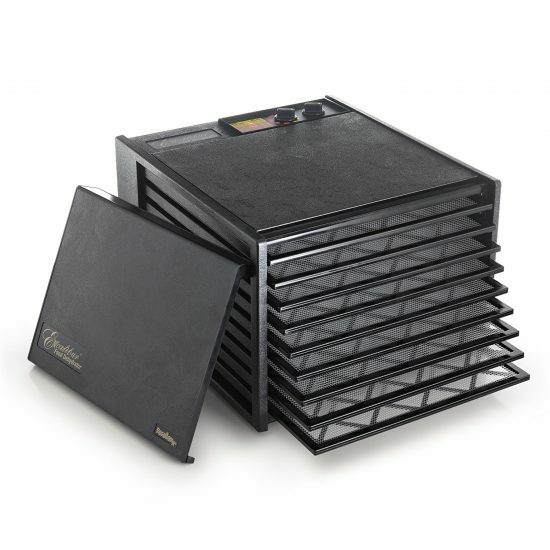 Make sure you choose the right size dehydrator. 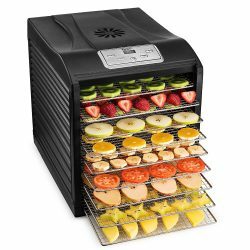 Don't buy small size dehydrator if you want to dehydrate large quantity of food at a time because dehydration takes a lot of time. If you pick a small size, then you may have to wait few days to finish dehydration process. So don't forget to buy right size dehydrator. Not all dehydrator brands are good dehydrator brand. Make Sure while buying you are buying a good dehydrator brand because good brand will be useful in the long run without having any issues. Excalibur is one of the best dehydrator brand currently available in the market. I'm sure you heard this name when you start researching about dehydrators. 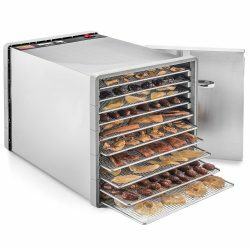 Excalibur 3926TB Dehydrator comes with 26-hour timer and an adjustable thermostat with temperature ranges from 105°F to 165°F which matches our standard requirements for dehydrating nuts and seeds. This dehydrator comes with flexible polyscreen tray inserts to prevent food from sticking to trays which makes it easy to remove food after dehydrating. 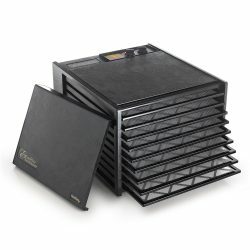 If the price is not an issue, then I highly recommend you to get this Excalibur dehydrator. Excalibur 3926TB is one of the best dehydrators you can get for dehydrating nuts and seeds. 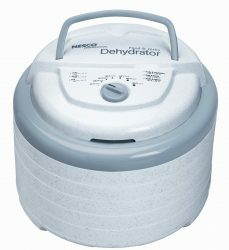 Nesco FD 75A is one of the most popular budget-friendly dehydrators you can buy for dehydrating nuts and seeds. This dehydrator comes with a top mounted fan, 95 to 160 degree F adjustable temperature settings and 600 watts power. 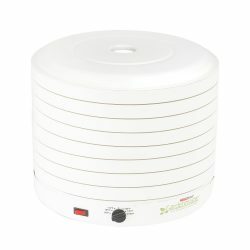 If you are looking for a budget friendly dehydrator, then I recommend you go with this dehydrator. This dehydrator perfectly good for dehydrating nuts and seeds with reasonable pricing. 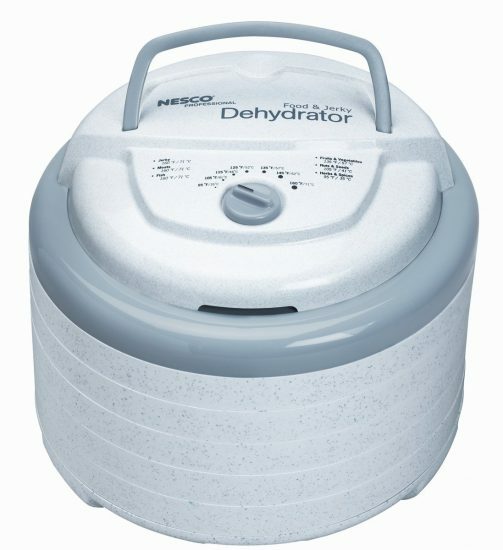 Not much famous dehydrator brand, but the product is worth listing it. Magic mill food dehydrator is a digital food dehydrator comes with all most all latest features at the affordable price tag. 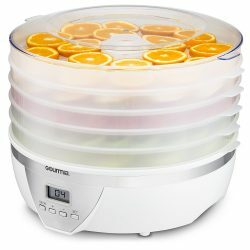 If you are looking for feature-packed dehydrator at an affordable price tag to dehydrate nuts and seeds, then I recommend you to get this dehydrator. Q: On What temperature we have to dehydrate nuts and seeds? A temperature for dehydrating nuts and seeds varies from one type of seeds to another kind of seeds. In general, we have to dehydrate at around 115 degrees F.
Q: What're the most important things we have to keep in mind while buying a dehydrator for nuts and seeds? 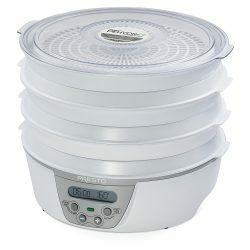 The most important thing is to find a dehydrator with a temperature control that goes as low as you want. Ideally, below 110 degrees F is a good choice. Q: Why we have to dehydrate nuts and seeds at low temperature? To keep enzymes alive in the nuts we have to dehydrate them at low temperature. Finally, buying a dehydrator for dehydrating nuts and seeds is a perfect choice but make sure you are purchasing a dehydrator which serves your purpose well. Not all dehydrator is good, when buying you should consider it should be helpful for many other purposes as well not just for dehydrating nuts and seeds. I tried to pick only such dehydrator in this article hopefully this will help you in buying a right dehydrator.